For Baltimore attorney Ben Rosenberg, professional development transcends four walls and a desk. BENJAMIN ROSENBERG is the Founder and Chair of Rosenberg Martin Greenberg, LLP, a full-service, business-oriented law firm located in downtown Baltimore. He handles major cases in state and federal trial courts, and has argued many significant appeals. In 2018, MSBA President Judge Keith R. Truffer appointed Mr. Rosenberg to serve as Chair of the MSBA Strategic Vision Committee as part of his initiative to chart the Association’s course over the next five to 10 years. Mr. Rosenberg obtained his J.D. from the University of Maryland School of Law in 1969 and was admitted to the Maryland Bar that same year. 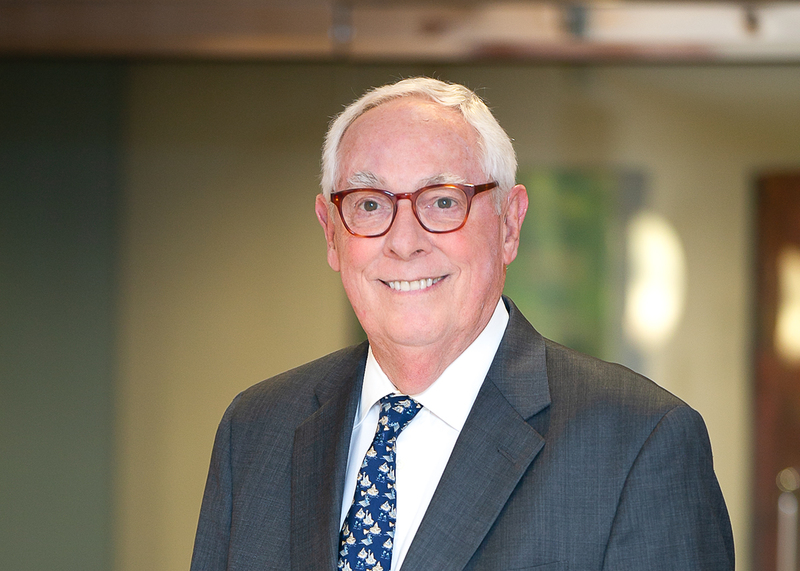 He recently sat down with the Maryland Bar Journal to impart a bit of the experience and hard-earned wisdom that stem from his nearly 50 years of practicing law. MSBA: What drew you to pursue a career in the law? BR: As an undergraduate at Johns Hopkins University, I took a course in constitutional law, and I really liked it. I liked the idea of the Socratic Method, where you would read the cases, and the next day the professor would ask questions about those cases that you had read. MSBA: Please describe your professional journey. BR: I was admitted to the Bar in July 1969, and I spent the next 18 years at Venable, Baetjer & Howard, a significant part of which as a partner in the firm, and I loved it. But as I got into my 40s, I realized that I had an independent streak. So, with Robert J. Proutt, H. Eugene Funk, Jr., and Barry C. Greenberg, and by the good grace of a very kind and loving wife who was willing to let me take the risk – and certainly she was bearing a significant part of that risk – I started this firm [Rosenberg Proutt Funk & Greenberg] in the fall of 1987. MSBA: What have been the greatest challenges over the course of your career? BR: As an attorney, the cases I’ve been involved in have been almost uniformly challenging, because by the time they get to me, people are pretty serious about resolving the dispute. The other challenge was managing the growth of our firm. We started out with four lawyers; now, we’re about 40. Until I stepped aside as managing partner, about eight or 10 years ago, I really had two full-time jobs – one, dealing with a very active law practice, and two, dealing with a rapidly growing law firm and all the challenges that that presented. MSBA: You describe the law as “not just a job,” but “a calling.” What are your thoughts on the legal profession? BR: I still believe that practicing law is not just a job – it’s a calling. It gives the lawyer who’s serious about it a window into how our society works, and an opportunity to influence how society works. MSBA: You believe that professional development is not limited to the office. BR: The culture at Venable was to get involved in outside activities, and I guess I inherited that and brought it to Rosenberg Martin Greenberg. BB: I strongly advocate for the lawyers in my office to do something other than come into the office every day, handle the work that’s on your desk, and go home at night. You have to get involved in the community. Some of the most rewarding experiences I’ve had have not been directly related to the practice of law, but to other community-oriented activities. For instance, some years ago, a friend of mine came to me and asked if I would like to join the board of the Enoch Pratt Free Library, and I was really flattered by the suggestion. As a kid growing up in Baltimore, outside of school, the library was the most important institution that I encountered and was engaged with. So I joined the board. About two years ago, they asked me to chair the board, and it has been a thrilling and incredibly rewarding experience. MSBA: What role did the Bar play in your professional development?Why is bar association engagement important for attorneys? BR: There was a group called the Junior Bar Association of Baltimore City. One of the lawyers in our firm [Venable] – Ben Civiletti, who later became Attorney General of the United States – was the head of the bar, and he came in to see me one day and said, “I’m making you chair of one of our committees.” And that’s how I got started. What I really liked about it was meeting lawyers with all kinds of different practices who I probably would not have met otherwise. Later, I was elected to the MSBA Board of Governors, which [The MSBA] really expanded my horizons in terms of meeting lawyers and judges from all over the state. During the years that I spent on the Board of Governors, I met and developed relationships with so many lawyers from all over Maryland. It’s amazing how that comes back to you in great measure, for example, in going to Washington County and knowing somebody who had just recently been appointed a judge, or who was the new state’s attorney, or whatever. MSBA: President Judge Keith R. Truffer appointed you to chair the Strategic Vision Committee, one of his key priorities this year. Tell us about that. BR: Keith had probably been out of law school two years when I first met him, and he and I worked together on a number of very large, complicated cases. I got to know Keith very well, and have maintained my friendship with him. After he became President [in June 2018], he called me up and asked me to chair a special ad-hoc committee to develop a strategic vision for the MSBA. And we’ve been actively working on that, with the hope that we can present something to the Board of Governors in spring 2019. MSBA: Has your work with the Committee thus far led to any personal revelations? BR: The thing that has really struck me are the demographics of the State Bar Association – how many members are getting up there in age, like me. Like any other organization, if you don’t have fresh, young, interested, and engaged people coming in at some point, the demographics are going to overtake you. So our job is to figure it out. How to overcome that is a real challenge. MSBA: What words of advice do you have for new or up-and-coming attorneys?Do you have any words of advice for new or up-and-coming attorneys? BR: If you’re going to be a lawyer, be a good one. Don’t just think you can go through the motions and that good things are going to happen, because they’re not. Making the law work for you requires a lot of work. You have to learn to be a good lawyer. You have to learn the subject matter in which you’re practicing. There’s no substitute for the hard work of becoming knowledgeable and skilled in whatever it is that you’re doing. Also, there is this whole, great big world out there that exists independently from whatever it is that you’re doing in your law practice. Find something, pick something – I don’t care what it is, but something – and get involved in it, because the real rewards, frankly, I think come from being able to use the skills and ability to get along with people in something that relates to the community in which we all live.